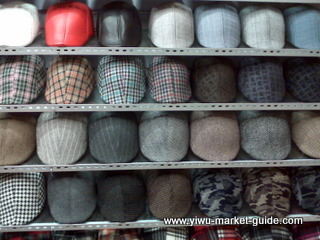 Scale: about 1,010 hats and caps suppliers. 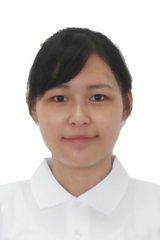 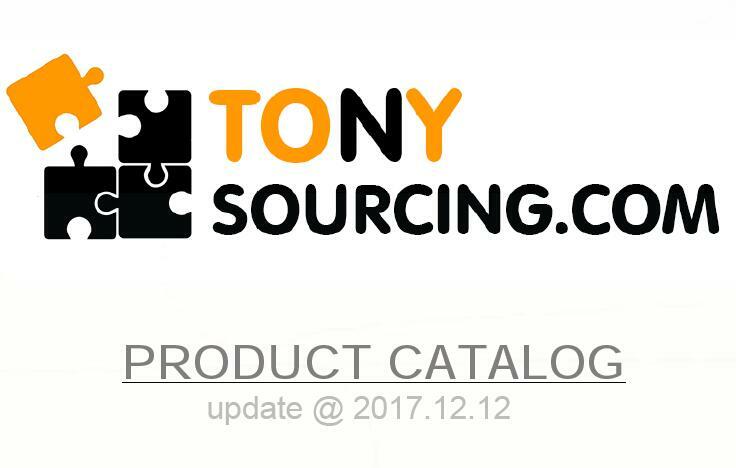 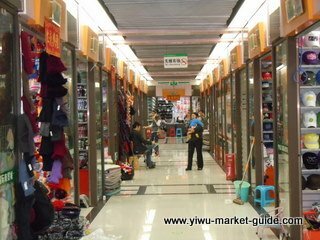 Location: Street No.19-No.30, 2F, District 4, Yiwu International Trade City. 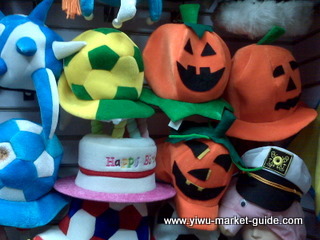 Yiwu actually started selling hats and caps as early as 1980s. 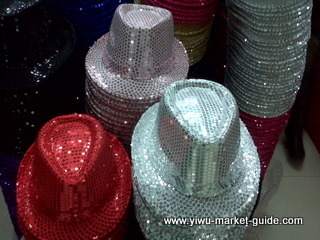 As Yiwu market grew, hats and caps industry also boomed. 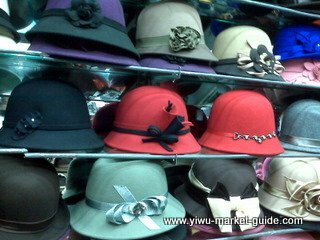 Many factories from Wenling, Taizhou, Ningbo, Shandong, Jiangsu and Guangdong came to Yiwu to have their showrooms opened up since early 1990s. 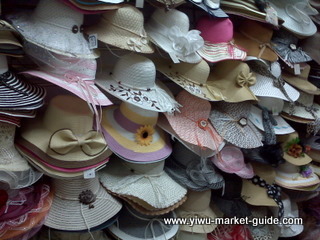 Local government has encouraged more and more hats can caps traders have their own factories set up in Yiwu since 1990s. 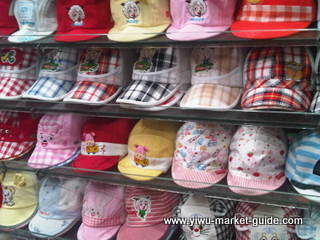 Till now, Yiwu has about 300 factories producing hats and caps, bringing in a 50,000,000 USD turnover yearly. 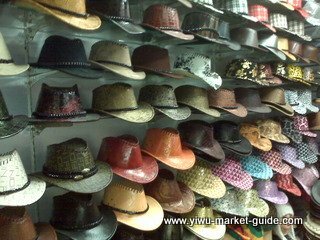 As i said before,you can find hats and caps of most styles and types here- caps for women and men and kids, caps for summer and winter, hats for newspapers boys and dancing clowns... 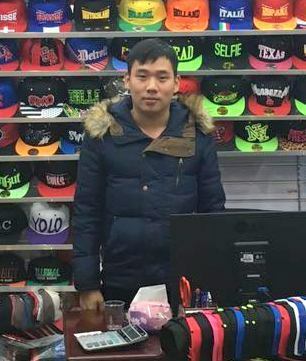 The prices are, generally cheap. 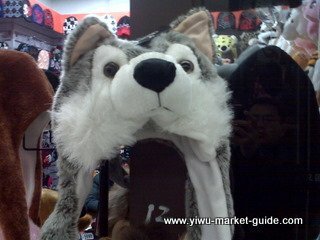 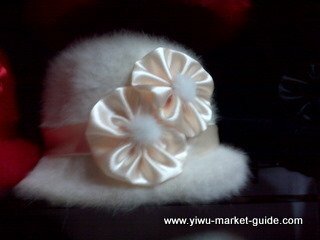 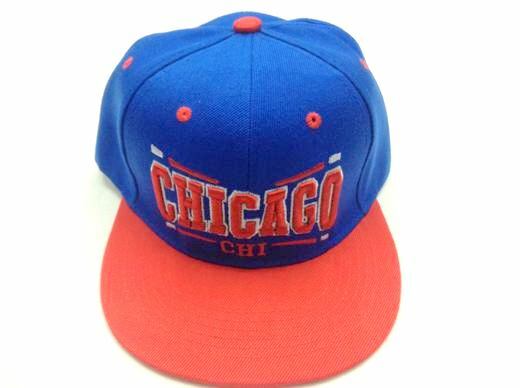 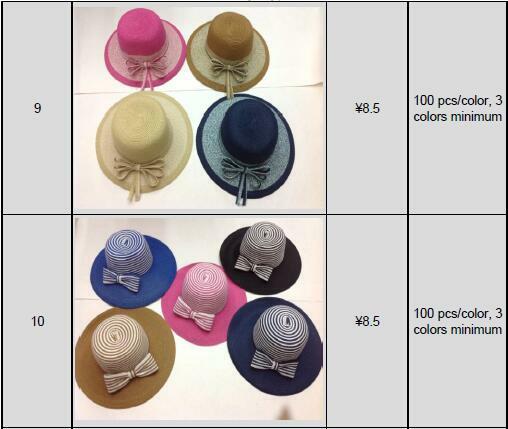 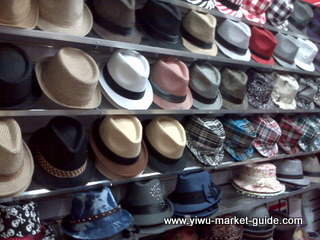 The prices for most of below hats are between 4.00CNY to 5.50CNY, which is about 0.60USD-0.83USD. 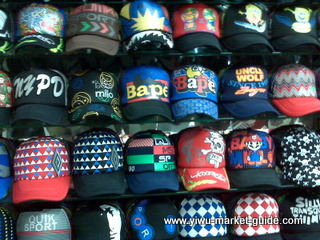 But you can also find caps here are wholesaling at a price of 20.00USD. 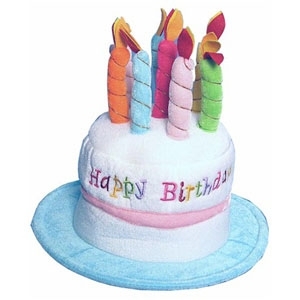 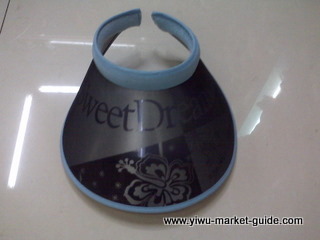 200-300pcs / color, several colors per design. 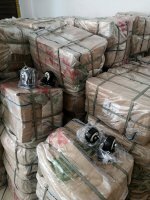 Lots of suppliers have stock. 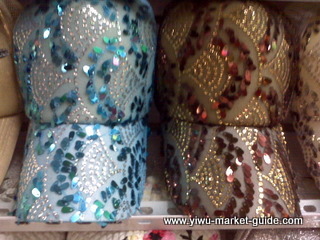 Varies from low end to high end. 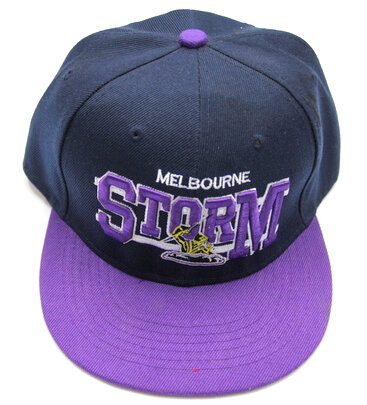 From our customers from US feedback “they're OK, few are crap”. 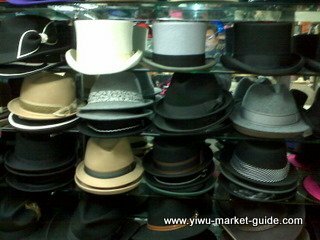 10 FAQs about Hats&Caps Wholesale Market in Yiwu China.